At FinovateSpring this year, Virtual Piggy took the stage to demo its online payments platform made for consumers under the age of 18. We wanted to check it out, so we signed up for an account. There is also an Alerts section highlighting items that need attention. 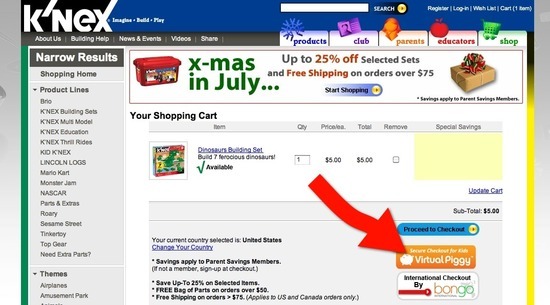 When a child adds an item to the cart and is ready to checkout, they simply select the Virtual Piggy icon. Next, the child is prompted to enter their username and password to login, then confirm the purchase. Since the parent already entered payment and shipping information, shipping is automatically calculated. 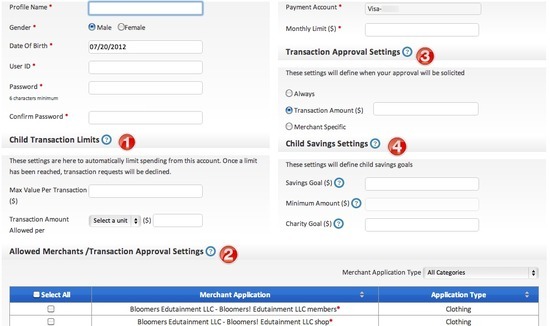 Since demoing at FinovateSpring, Virtual Piggy began supporting monthly subscription payments. With this update, teens and tweens can purchase subscriptions within games and other online digital media services by using their Virtual Piggy accounts. To learn more about Virtual Piggy, watch its FinovateSpring 2012 demo.